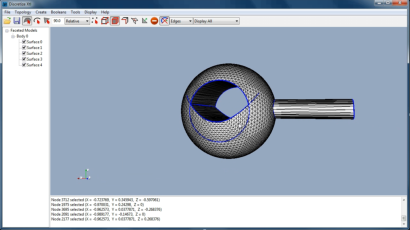 Discretize DGK - Discrete Geometry Modeling. 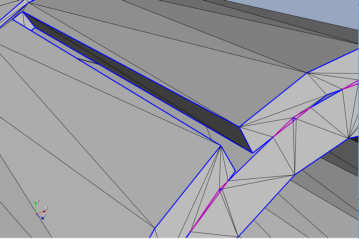 Enhance your faceted geometry capabilities with the Discrete Geometry Kernel (DGK). • Fully portable, ANSI C++ source code. • Repair and edit dirty STL geometries. 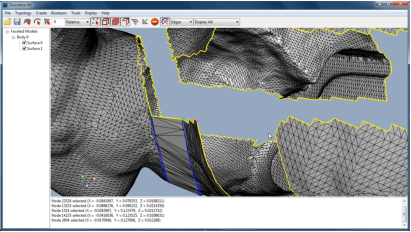 • Advanced topology management. • Low level (facet and node) and high level (curve and surface) editing. • Construct solid primitives, surfaces and curves. • Calculate intersections. • Refinement, coarsening, smoothing and blending. • Booleans. • Hole filling and stitching. • Embed curves in surfaces. • Next generation wrapping. The Stanford bunny cut into 5 distinct pieces - easily repaired using either DGK’s surface construction tools or wrapping algorithm. 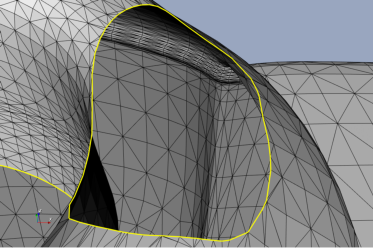 The refinement algorithm, in conjunction with high order interpolation, enables the construction of smooth surfaces from coarse triangulations.